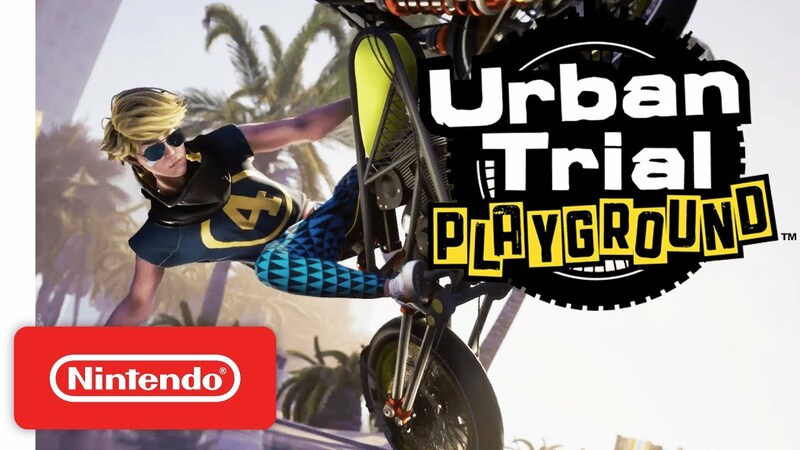 Backflip from the rooftops, over palm trees and sand dunes in Urban Trial Playground and become the ultimate stunt racer. This new installment of the stunt bike racing series is moving the action from city streets, straight to the sunny and colorful beaches of California, mixing in even crazier tricks, flips and combos than ever before. It’s a game of speed, balance and style. Freestyle & Time Trial modes will include online leaderboards across the 50+ game levels. You can also challenge your ghost in Time Trial mode: watch your best runs and try to beat them by perfecting different and faster routes or performing even crazier tricks. Take advantage of the Nintendo Switch’s built-in multiplayer functionality and race against friends or family in competitive modes with 2 players split screen play in Time Trial or Tag modes. UTP features 5 customisable bikes that you can not only upgrade the look of but also the engine, brakes and vital parts, which impact how the bike controls. A wide variety of customisation for your bike and rider will allow you to personalize your style and score new records in true California style!